What a beautiful day for a run! 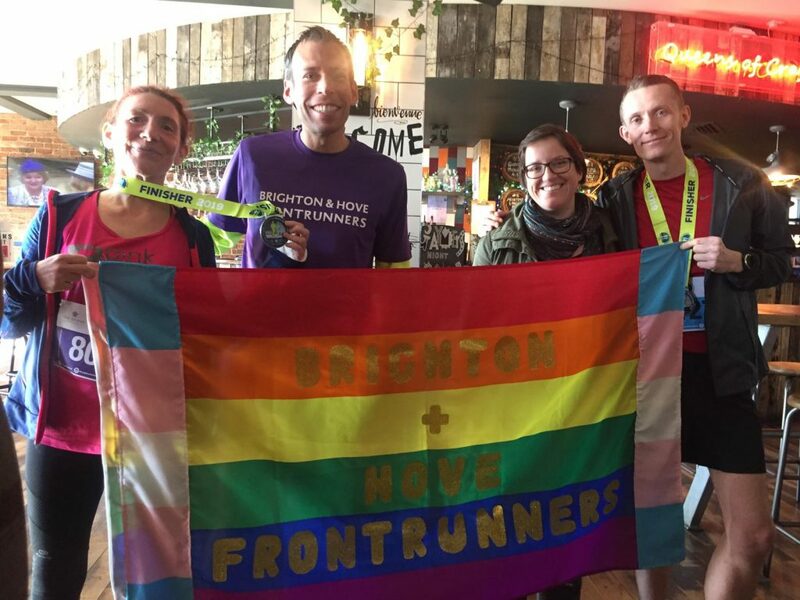 The Brighton Half was my first half marathon and first long distance race running with the Frontrunners. It was a corker! 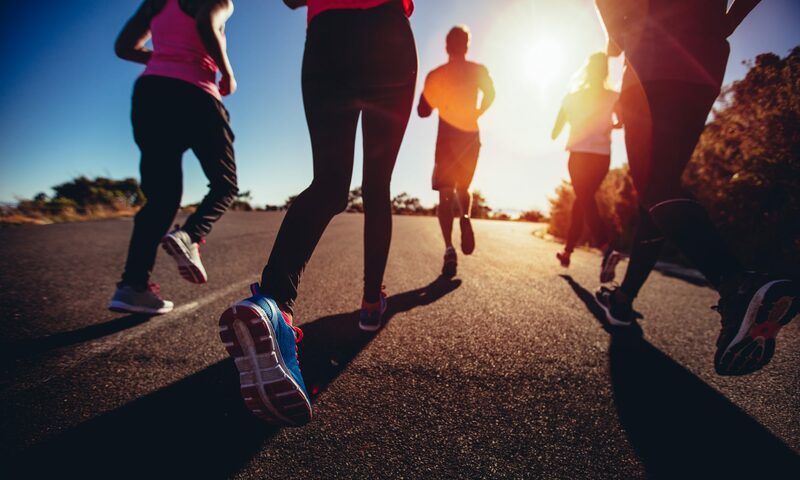 When I signed up for it, the longest I had run was 10 miles, and although knackering, I didn’t think that the progression to that elusive half marathon distance would be that problematic. It more was challenging that I had initially thought and not to be considered lightly. I work in London and have a long commute, and so my long-distance training runs were all in the dark over the winter period. We have had some awful storms and windy weather since Christmas, and it was hard to keep the momentum going. But I persevered adding a bit of distance to my weekly long runs. In the week before the half marathon, I went snowboarding in Andorra. I am still very much learning, if you have ever tried to learn to snowboard you will know that it is brutal! I managed to break my wrist and bruise my knees quite badly. It didn’t deter me off running in a cast though. Due to the experience of my training runs, I was most worried about windy weather as I find it exhausting to run against. In the week leading up to the race, I looked at the weather reports daily… as the week progressed, it was looking more and more positive. When race day arrived, you couldn’t have hoped for a nicer day. It was like a summer’s day – the sun shone brightly with just a little breeze and supporters came out in the hundreds. 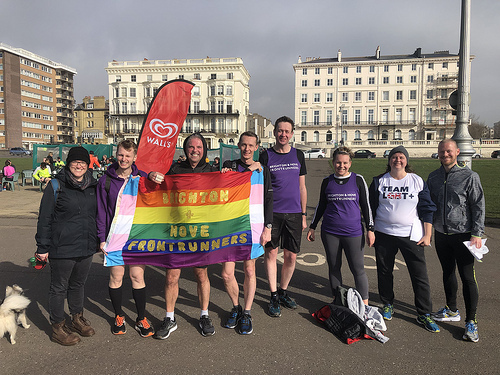 There were four Brighton & Hove Frontrunners racing in total, James Barron, Sarah Rochford, Sonia Tester-Allen and myself all headed to the start line along with thousands of other participants. The atmosphere was amazing. Smiles from the racers and supporters. Fellow Frontrunners Paul and Jen also came out to support and were spotted around the course. Jen gets special extra points for her handmade Brighton & Hove Frontrunners flat which I spotted going around. 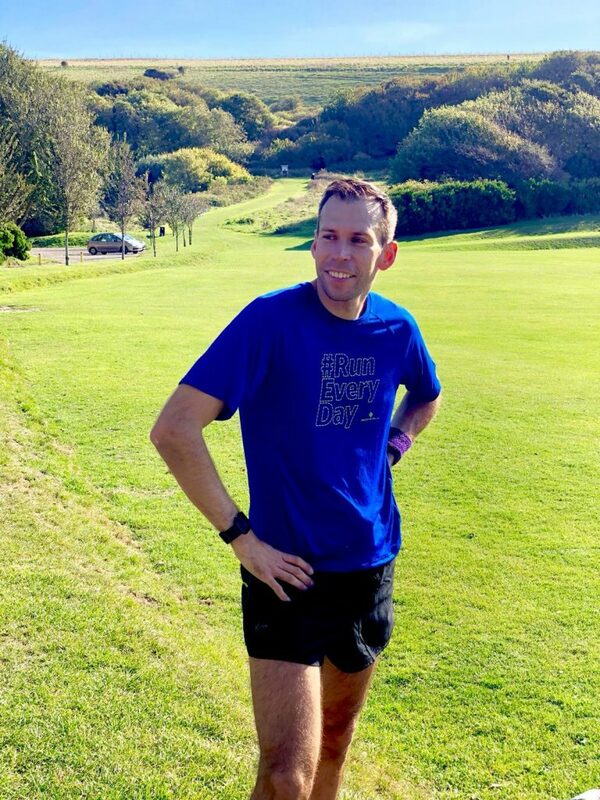 All in all, I thought the atmosphere was incredible and I would recommend the Brighton Half to anyone thinking of running that kind of distance. The difficulties of trying to run with a broken arm and other injuries were soon forgotten.